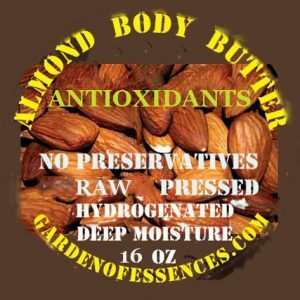 Ingredients: Almond Butter pressed from raw almonds, refined, then lightly hydrogenated with vegetable oil, for spreadability. 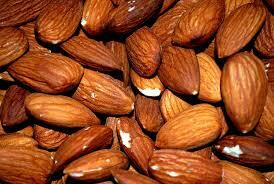 Almond Butter is the best cream for sagging neck and jaw skin. Superbly penetrating, creating a youthful skin, due to softening sterolins. Vitamins A, B, E, and minerals provide antioxidant and anti-wrinkle activity. May calm dermatitis, as it is anti-inflammatory. Drenches the hair with sustained moisture, preventing breakage.